Ahoy, we”e got t’ take back the ride. A pence for an old man o’de sea? Ahoy, as many o’ you know Sept 19 is International Talk like a pirate day. Ye’ll ne’er get me buried booty! Arrr, in respect o’ that The September theme is Bike like a Pirate. Aye, me parrot concurs. Ahoy, remember Pirates always have lights only the bike ninja (the natural enemy o’ Pirates) goes without lights. Gar. Arrr, we’d also like t’ call out that one o’ our ‘endors has stepped up and donated t’ the cause. Thanks Quickdog for your support. Aye. Arrr, you too can talk like a pirate. 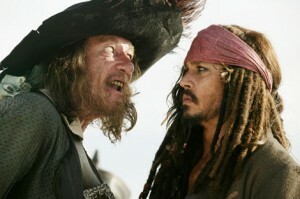 check out this “Pirate Speak Translator” A pence for an old man o’de sea? Arrr, har’s what this sounded like before the translation. Aye. As many of you know Sept 19 is International Talk like a pirate day. In respect of that The September theme is Bike like a Pirate. Remember Pirates always have lights only the bike ninja (the natural enemy of Pirates) goes without lights. We’d also like to call out that one of our vendors has stepped up and donated to the cause. Thanks QuickDog for your support.